… Hotel Restaurant “La Giara” offers the tourist an unforgettable vacation with all comforts in a pleasantly familiar atmosphere. Besides being elegant and comfortable, all the rooms have private bathrooms, hair-dryers, air conditioning, fridge-bar,TV sat, direct phone, free internet access. The structure, which consists of 24 rooms, is provided with a lift and is therefore accessible to disabled persons. Small size or well trained animals are welcome. Leaving the Hotel walking across Cefalù’s typical medieval alleys one can easily reach the Cathedral, the “Mandralisca” Museum, the Port, the Medieval Wash-House, the Rock and the Promenade… while in the Hotel’s wonderful terrace from where an unforeseeable panorama can be enjoyed, it is possible to sunbath undisturbed or to sip a cocktail with friends. 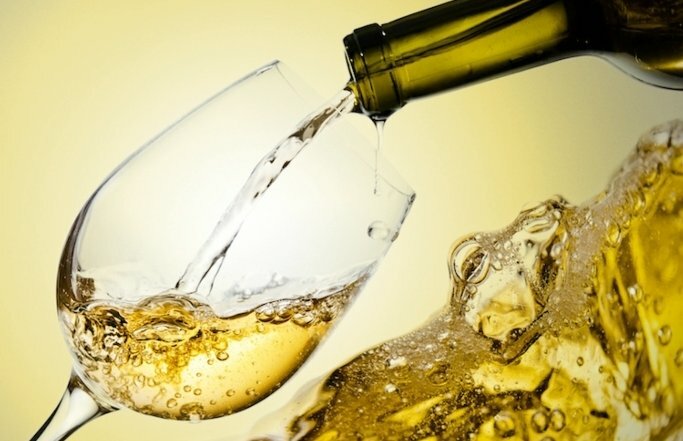 A local bottle of wine is ready for you, if you reserve a room for minimum 2 night. Go to the booking area and catch the promotion. 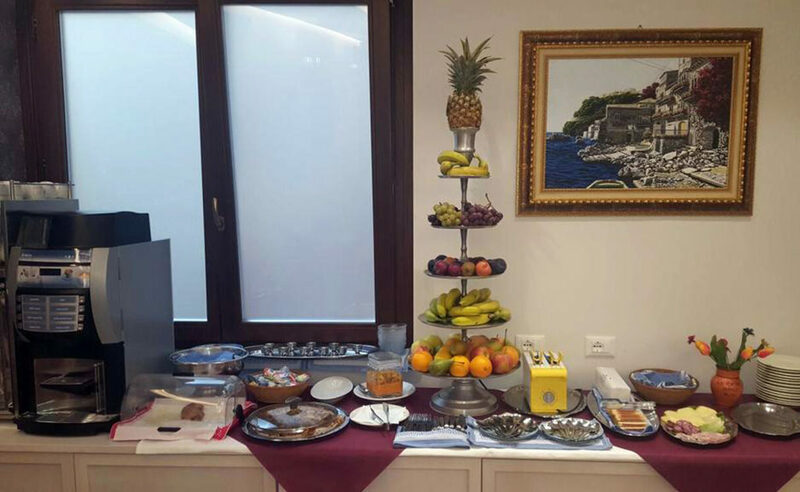 Every morning an abundant buffet is offered in an elegant and welcoming setting. You will be delighted by the aroma of our freshly baked cakes, citrus fruit of Sicily and the products of our land, carefully selected for those guests who love local, genuine products. 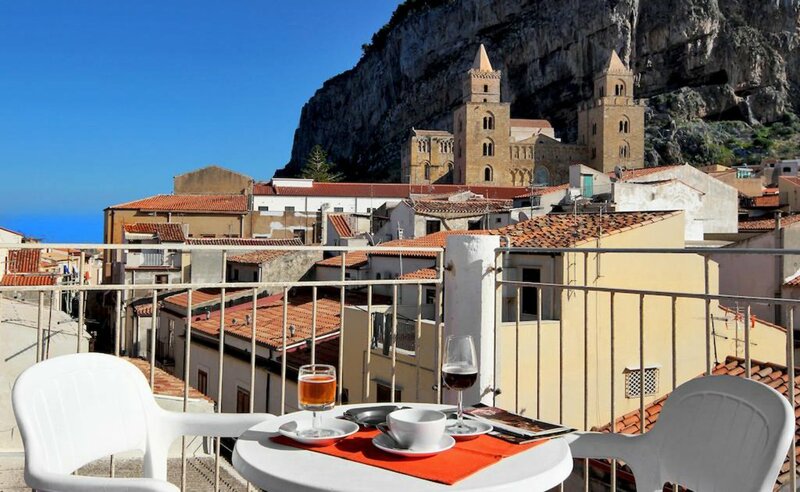 From our roof terrace you can enjoy a unique and amazing view over of the Duomo, the Rocca, the historical center and the blue sea. In this corner of paradise, fully immersed in a relaxing atmosphere, you will be living magical and unforgettable moments while enjoying a drink or tasting our typical specialities. Take advantage of the Last Minute offers exclusively for customers that book on-line on our website. 10% discount for bookings made at least 60 days in advance. 10% discount for 3 nights minimum stay and 15% discount for 5 nights minimum stay. Special Offer (€ 10.00 per room per night less): prepaid/non refundable. Children under age 12 stay free in triple or quadruple: Offer valid from April 1st, until June 30th, and from October 1st, until October 31. To know the rates for the period you are interested in, use the “Online Booking” area by typing the arrival and departure dates, the number of rooms and the number of adults and children.